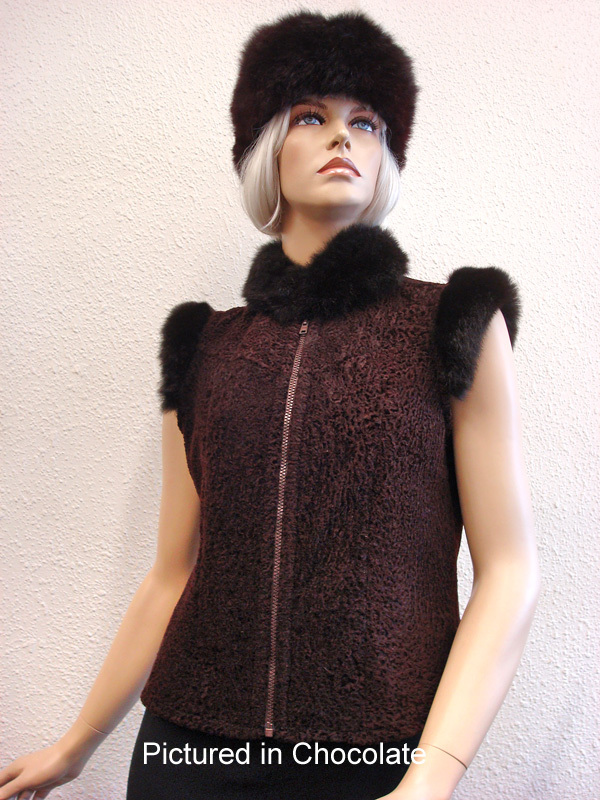 Incorporating New Zealand Baby Lamb Shearling with Possum Fur capped sleeves and Mandarin collar – the Lara Vest is a gorgeous rendition of an epic Russian classic. The babylamb skin is derived from casualties of nature and then shorn resulting in a brilliantly textured pattern. Some call this finished skin : Astrakhan. 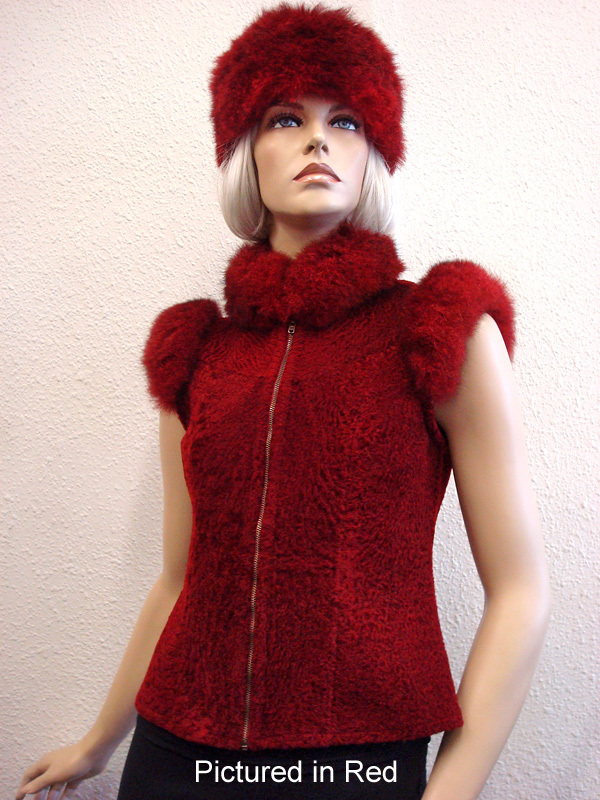 The possum fur collar and sleeve caps are from an environmental pest in New Zealand resulting in a stunningly natural and ecological garment that is strategically cut for a flattering silhouette. Comes with centre front zip closure, made by us in New Zealand with all the style and pizazz you would want. This original design by Wear New Zealand is one of our best selling lamb skin garments and will stop traffic!